This week I worked on the cupboard underneath the sink in the bathroom. I mainly keep extra soaps, a few sponges for cleaning and my hair stuff underneath the sink. I think many women can identify with owning too many shampoos, hair products and basically any lotions and potions. We want that bouncy hair and clear skin and we are willing to buy product after product in search of this. Many of these products don't live up to our expectations and they don't get to stay on the shower shelves. I tend to relegate mine to this cupboard. 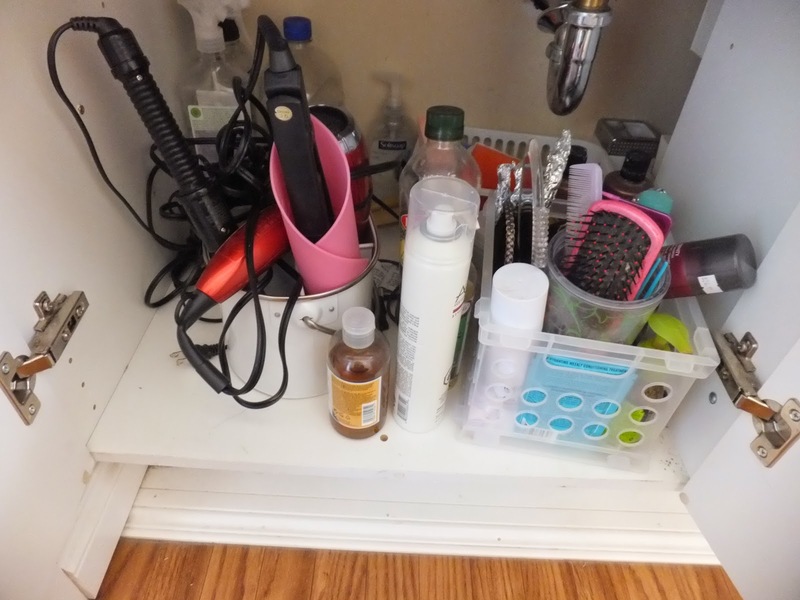 I cleaned this cupboard out and got rid of so many products! I also donated a three barrel curling iron, some unopened hair products (they were gifts), and some headbands. I plan to stop and really think about my future purchases. Minimalism applies to this aspect of my life, too. Just because something is "only" a few dollars, doesn't mean it deserves a place in my home. Most advertising is clever and makes us want to buy the "miracle" product. Most advertising lies, as well. I am going to try to take a step back the next time I want to try a new product and really think about why. Especially when I have a bevy of products that work well for me. P.S. 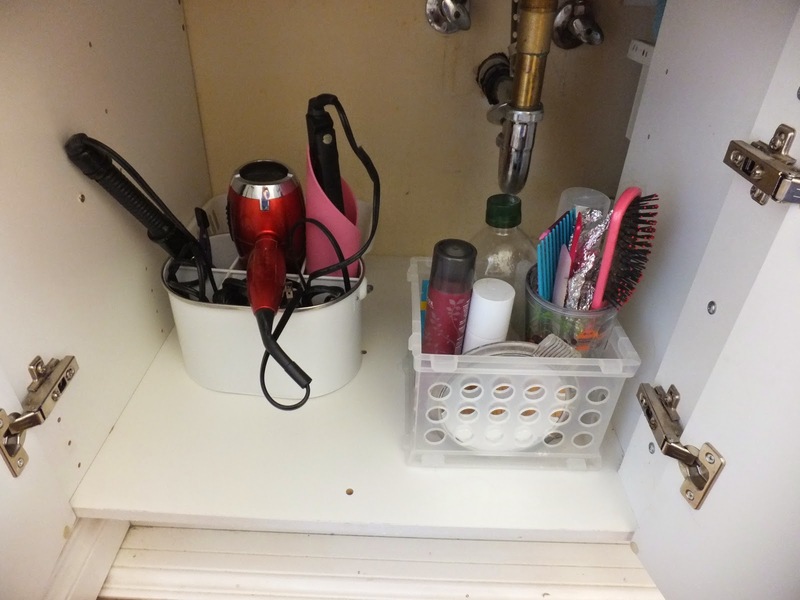 I keep my hair styling tools in a metal utensil caddy. It was relatively inexpensive, but it was one of my better purchases. It keeps my tools neat and tidy!The added bonus of only owning three heat styling tools is that I have a compartment for each tool and a compartment for each tool's cord. It works really well!